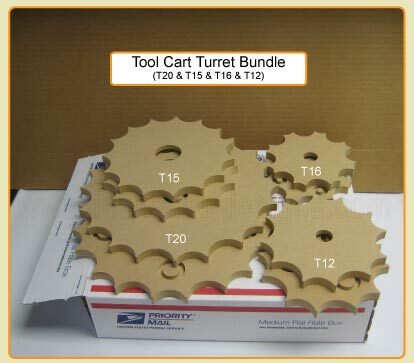 We are pleased to offer “TURRET KITS” for those turners that do not need the full features of the tool cart. 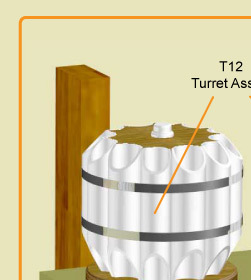 If you’re just getting into the hobby then the T12 is an ideal turret. 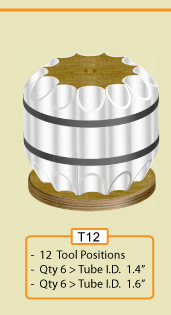 Later as your hobby grows you can still use this turret on the Tool Cart. 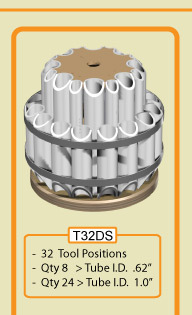 If you’re mostly Pen Turner or a Wood Carver then the T16/T32DS might be a good choice. 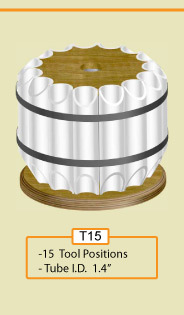 If you’re looking to design/build your own cart, you may want to consider the T15/T20. 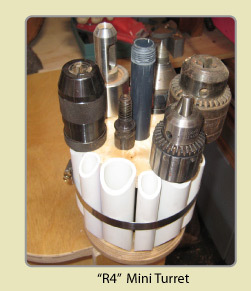 All of these turrets can be used on all previous versions of the Tool Carts including the plans built R5-P. OUR TURRETS ARE ROBUST AND EASY TO BUILD! 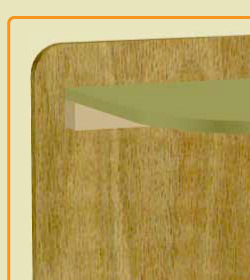 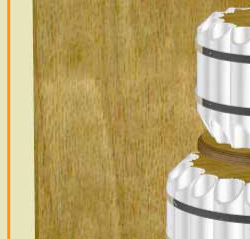 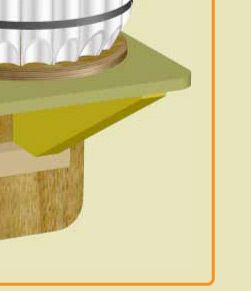 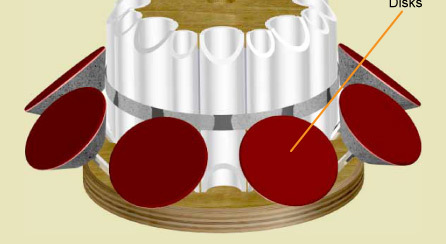 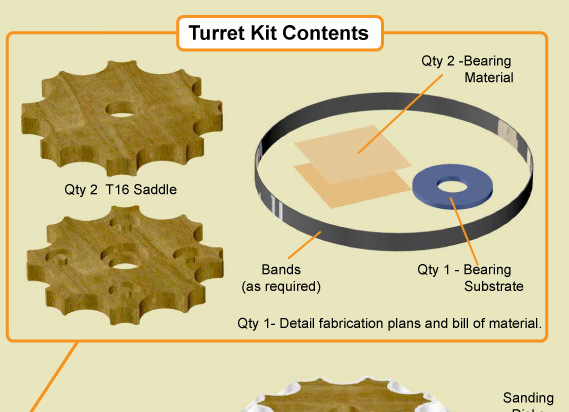 Each turret kit contains two precision cut saddles, bearings, banding and detail instructions. 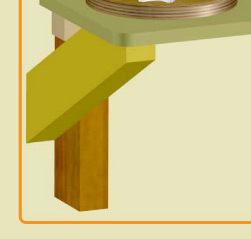 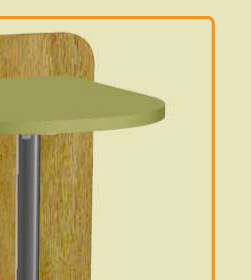 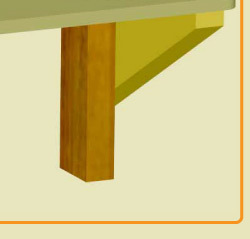 The builder must provide the PVC pipe and tool stop material (plywood). 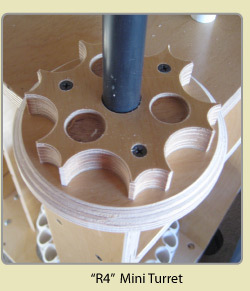 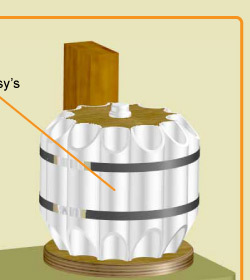 If you can cut a circle out of plywood and saw PVC pipe to length then you can build these turrets. 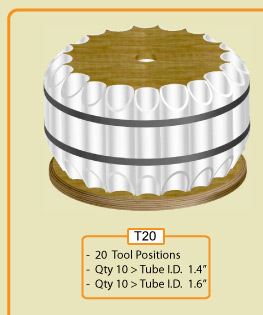 The length of the Tool Tubes is not fixed, you can adjust the length as needed. 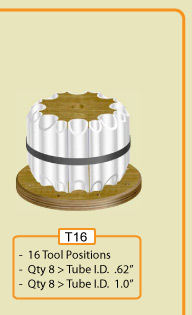 The T16 Tool Stop (tool stops are not included in kits) is proportionally larger than the others. 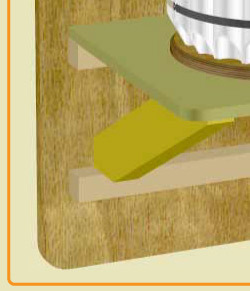 It is a simple matter to install 3/8" diameter tubes to mount the Sanding Disk so they are easily accessible. 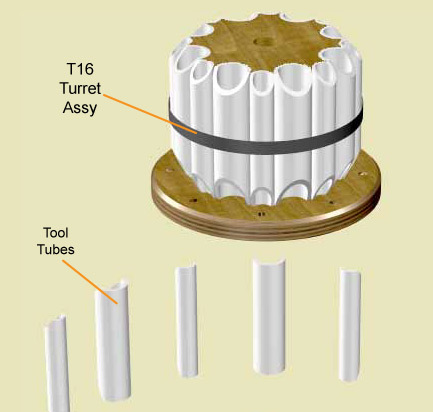 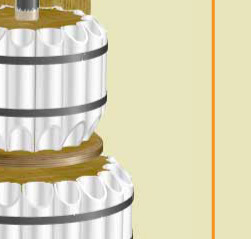 Mark the grit of the disk on the adjacent tool tube to reduce confusion.